Have you ever been sightseeing with family or out shopping with a group and decide to split up for a while? Then later you call and text to coordinate the meet up, yet no one is answering their phone, or you reach them on the phone but they have no idea where they are and how to get to you. It can be aggravating, especially if you have other places to go. 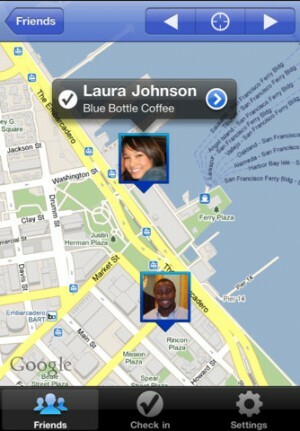 With the Google Latitude app you can share locations between friends and see each other’s position on Google Maps. You don’t even need to coordinate with the other party to meet up; you can just start moving in their direction and catch up with them. Even in small groups, whether you’re traveling with a few family members or another couple, it’s inevitable that someone will want to separate to check out something not everyone is interested in. When people are having fun they just seem to lose track of time. Save yourself some headache trying to regroup in unfamiliar surroundings by using Latitude. Latitude is free and available on for Apple iOS. Latitude is already integrated with Google Maps on Android phones.